Here's a hint: It looks a lot like their roadmap for 2012. Florida Senator Nancy Detert had some harsh words for AFP shills during a hearing. (YouTube) Florida State Senator Nancy C. Detert (R) humiliates an Americans for Prosperity lobbyist during a committee testimony on providing incentives for the film industry, saying "you're all on the Koch Brothers' payroll" and "you people serve absolutely no purpose." https://youtu.be/EIIF0HdOkQ0 -- Not something you see everyday. A Republican politician calling out these scumbags. AFP is playing a unique role in effectively serving as a conservative watchdog against fellow Republicans at the state level. 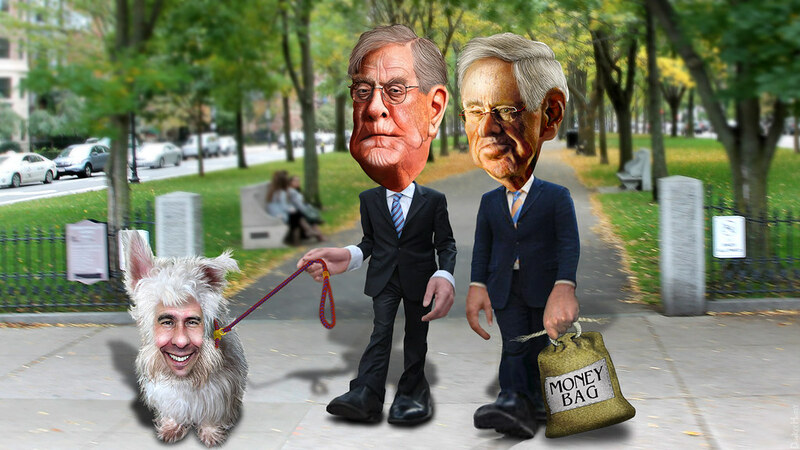 After they bought themselves a shiny new Congress, the Kochs issue their marching orders. Americans for Prosperity is suing Harris for enforcing the laws on the books concerning campaign finance disclosures and non-profit organizations. They're not satisfied to be breaking the law in North Carolina. Now they're aiming at Illinois. It didn't take long for Koch's political operation to launch their response to President Obama's speech. Thad Cochran trails Tea Party favorite Chris McDaniel by less than 1,000 votes with most of the votes counted. Neither hit the magic 50 percent marker. Using public money for Detroit's case "is very toxic, especially to out-state and Republican, conservative-leaning individuals," said Scott Hagerstrom, director of the Americans for Prosperity's chapter in the state.